Limited the UST Food Guide to just 5 can be tough. There are several excellent places to eat just within walking distance by the compound surrounding the University of Santo Tomas. The main challenge then comes in the moment you try to see which food joints have been around longer than expected. Then again you realize why some of the spots mentioned here made the cut because they kept the UST campus community satiated. So how would you like your sausage? Big or small? In this UST Food Guide, the terms that usually apply to Cow-Wow Sausage Haus would be “Hungarian” or “Schublig”. Pretty European. Then again, meat really tastes great when eaten with rice for breakfast. Or any other time of the day that you felt like craving for sausage. For folks trying to cut down on rice, you can opt for eating Cow-Wow’s sausages with a bun, a cup of mashed potatoes or some pasta. Highly recommended for folks that wanted their sausage-themed meals to go big. 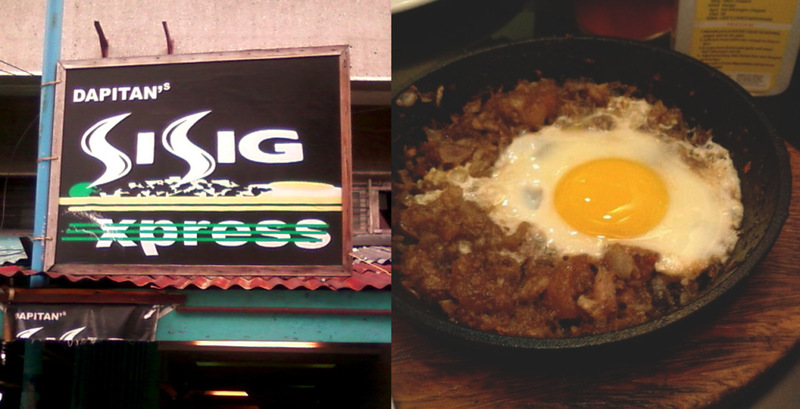 Going a few blocks around the compound, the UST Food Guide would eventually include the Sisig Express. Like there are several eateries around the area offering several viands to go with your cup(s) of rice. But sometimes, all you need is sisig. While other eateries would limit their servings of sisig to chopped pork. Sisig Express chose to offer chicken and bangus versions of this accidental culinary hit. And Sisig Express is one of the food joints that got the alchemy right. Not very far from UST especially when that craving for sisig kicks in. Ah, themed cafes. The kind of areas in the UST Food Guide that you find when it’s not enough to have a cup of coffee. With a menu that would trigger theater nerds into remembering pop culture references in relation to their passion. 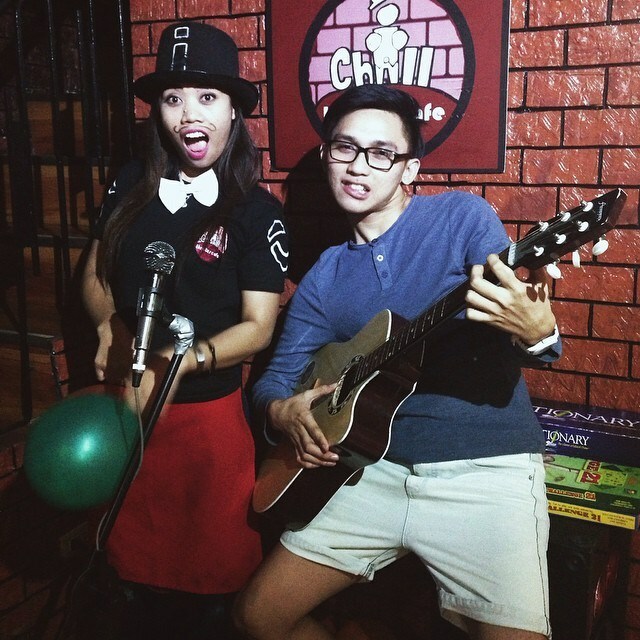 iChill Theater Cafe ups the ante the moment you choose to chill (pun intended) at the 2nd floor. You’d see musical theater posters that are of collectors’ item level. It helps when an entrepreneur could pour his/her passion into the business. And the customers share the enthusiasm. That enthusiasm is boosted best with a tall tumbler of ice-blended drink and a plate of pasta. Ramen is served for folks that needed a respite from the chilly/rainy weather lately. Getting around the UST Food Guide. 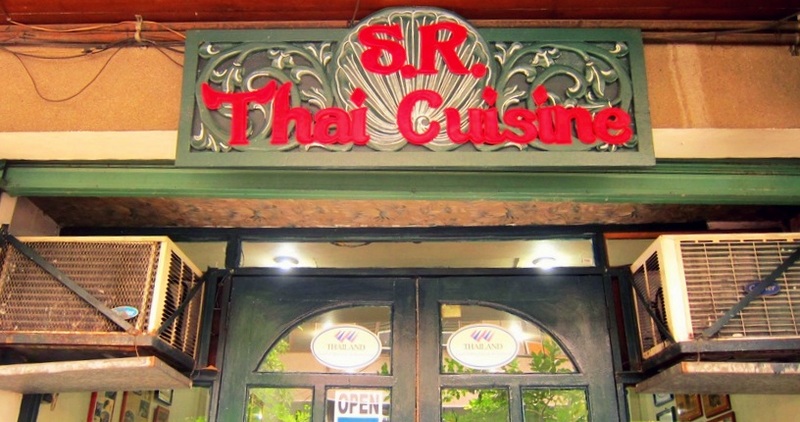 The common misconception about Thai food is that it’s not that different from Filipino food. Then you get served a hearty plate of Pad Thai. Or laksa. Or some other chicken dish served with their trademark S.R. Seafood Fried Rice. You then realize the difference in formulation. Not really alienating taste-wise especially when you like your food spicy yet still authentically Asian. Servings are pretty generous too. In terms of longevity, Mang Tootz Food House is legen (wait for it) dary. 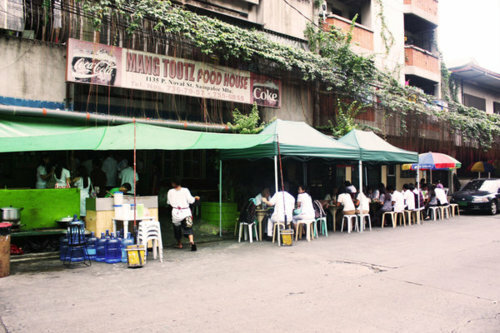 Some foodies that have earned their degrees in UST would come back to this staple in any UST Food Guide known online. And that is just to get their fix of Banana-rhuma. Like imagine your humble turon getting the Mang Tootz culinary treatment. Add cinnamon and milk powder. Then sprinkle with sesame seeds to finish it off. Best eaten with a full meal composed of rice with inihaw na liempo or chicken kebab. Any other legendary food joint you thought should be included in out UST Food Guide? Post feedback, comments and violent reactions (in case there are any) on our Facebook page after clicking “Like”. Tweet and follow us on Twitter to get the conversation going to. We’d be expecting you.